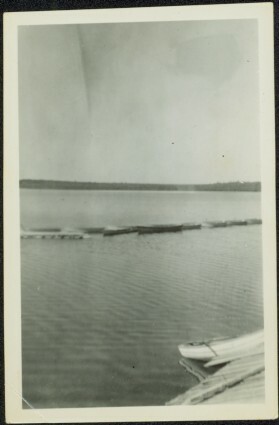 Photograph depicts what appears to be a row of small canoes in still water, opposite shore visible on horizon. Another small boat rests on dock in right foreground. Stamped annotation on recto of photograph: "764".